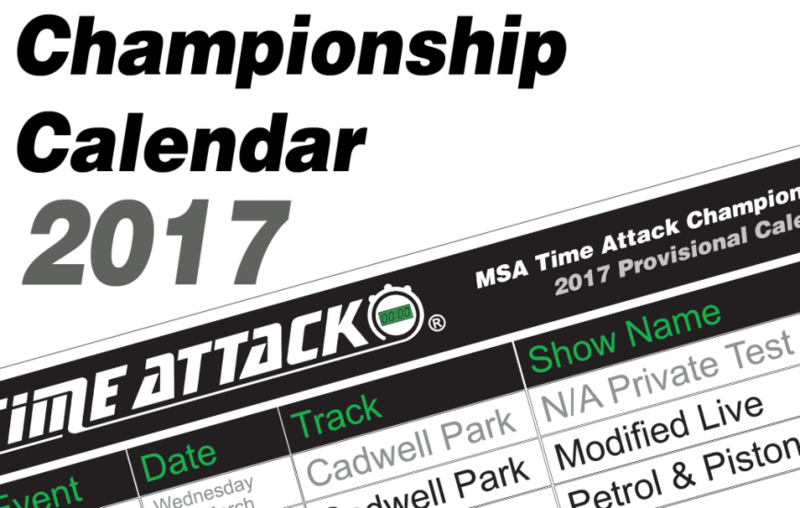 MSA Time Attack Championship 2017 Calendar - Time Attack® - It's not racing... It's Time Attack!! 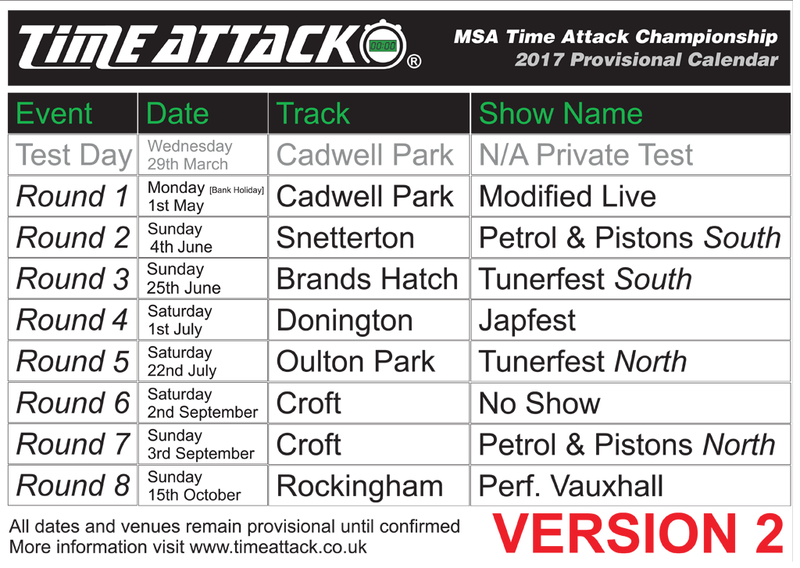 We are delighted to release details of the provisional 2017 MSA Time Attack Championship calendar. For the coming season the number of rounds will grow to 8 overall demonstrating a solid and credible set of venues for this years competition roster which are sure to please not only our teams but fans of Time Attack who will now have an increased opportunity, at a nationwide series of venues to come and watch Time Attack in person. Once again we will be running at some of the UK’s best car shows, now also including new collaborations with Japfest and the Performance Vauxhall events. Croft will now play host to a double header event and we have also chosen two bank holiday Monday events to shake up our calendar in an attempt to reach an event larger audience on race day at Brands and Cadwell Park. At the time of release [ Tuesday 29th Nov 2016 ] all dates remain provisional until such time as the calendar is set in stone in December. Until the dates have been confirmed, we advise that you should not make travel or any other arrangements. If you are looking to join Time Attack for the coming season, now is the time to get in touch with us, join the club and begin your preparations. The first milestone date is Wednesday 29th March 2017 where teams are invited to join the free* test day prior to the season commencing. We look forward to welcoming teams, new and old to the 2017 season. *the test day is free for all teams who have confirmed and paid for the season entry by 28th February 2017. For those who have not paid, you can still attend by paying a fee, details of this process will be posted privately to all members of Club Time Attack. If you would like to be a member of the club for 2017 [ all teams must be ], please sign up on this link. Any individuals or teams that have not rejoined will be removed from the club database and access after 31st December 2016.